I will always remember those first days at valle de Bravo learining to sail & race cats, and if I can say something about my sailing/racing is that at least I have a rather good boat handling, thanks to the Hobie 16 school of course. 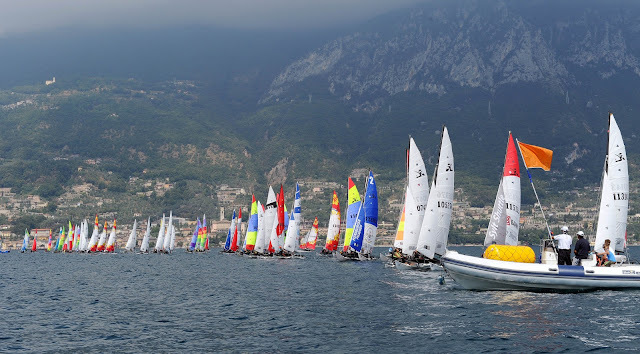 Early morning rain caused the wind patterns at Gargnano, Lake Garda, for the Hobie Dragoon Worlds, European Hobie 16 Spinnaker Open and Hobie 16 Open Qualifier to come from a different direction.. Racing stared nearly one hour late while the race committee waited for the wind to settle. The morning northerly wind didn’t appear but went to the southerly wind which normally arrives in the afternoon. All fleets started on the two race courses. In about 8 knots of breeze. Chloe Swetenham from Jersey racing in the Dragoon World Championships ‘it was a lot of fun out there, but also a bit frustrating when the breeze dropped’. The race committee wisely sent the sailors ashore waiting for the breeze to fill in the afternoon. On the Hobie Dragoon course two races were sailed with the one on the trapeze weather conditions. Lou Berthomieu (France) had another great day on the race course. They had a first, a fifth which is there discard and finished the day with another first. Nicklas Heide/Martin Holm from Denmark is having a wonderful regatta in the Hobie 16 with spinnaker. He won the first race of the series, broke his mast, sailed back to the beach and replaced his mast and went out and won the second race of the day. Today they had two wins which gives them a total of 15 penalty points. Second place, Alessandro Cesarini from Italy is sixteen points behind. With three races to sail tomorrow Alessandro will have to work hard to catch the Danes. The Euro-pean Hobie 16 Qualifiers Didier Arnould from Tahiti has a one point lead from Alexandre Alexandre FRA and a further point lead from Francesco Porro IT. 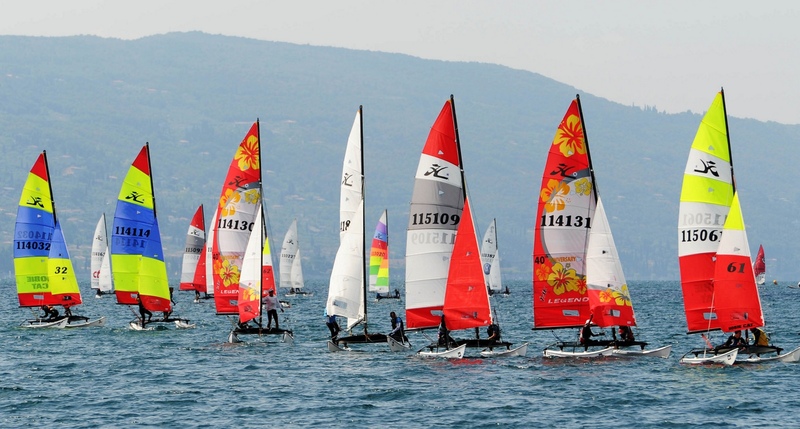 As nobody but a few people in the European Hobie Class Association know the number of qualifiers that will proceed to the Gold Fleet which starts racing on Wednesday. There will be a lot of nervous sailors hoping to make into the Gold Fleet with sailors from Europe already qualified. 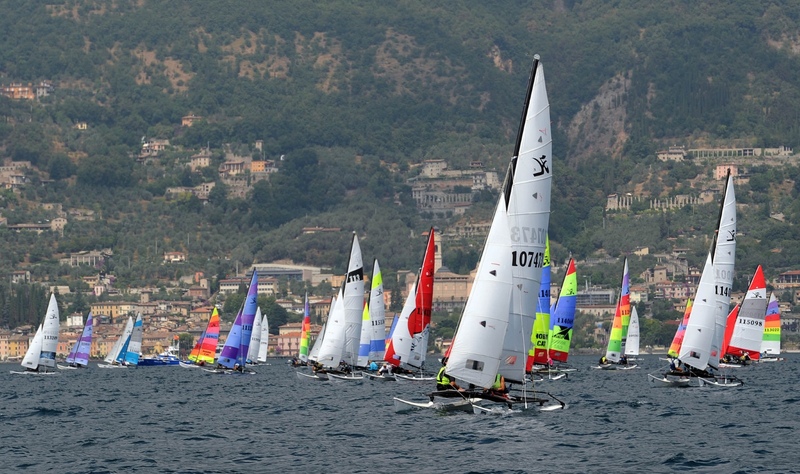 Racing continues at Gargnano, Lake Garda."